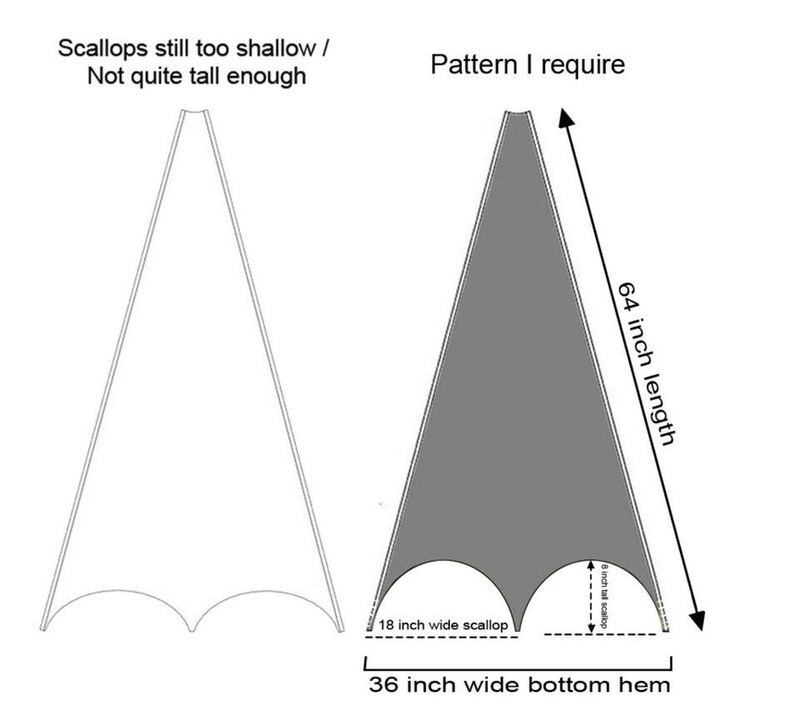 Bat-cape pattern provided by online costumer Max Kirkland was determined to be un-acceptable for the final stage garment requirements. 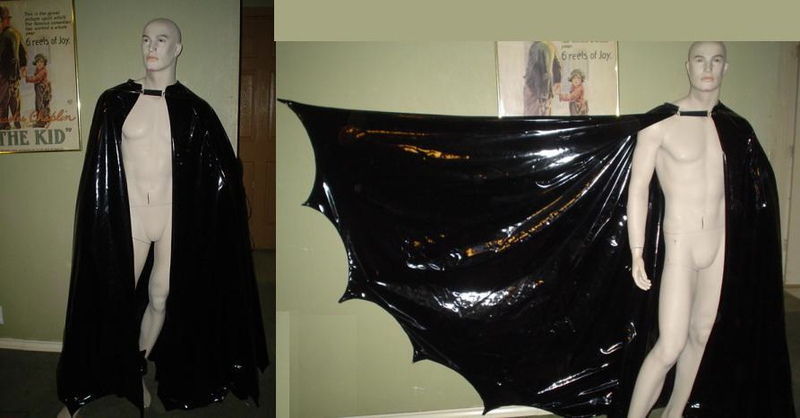 Final bat-cape fabricated by online costumer Max Kirkland. The stretch vinyl used to fabricate this cape (provided by Costume designer Roberto Williams) featured a texture that was inappropriate... very much like garbage bags. The workmanship of the final garment was also determined to be unacceptable for use in the stage production. Working Bat-Cape pattern drawing by Costume Designer Roberto Williams provided to seamstress Doreen Hunter. This new pattern features a shaped shoulder seam for a more fitted, elegant drape upon the figure. 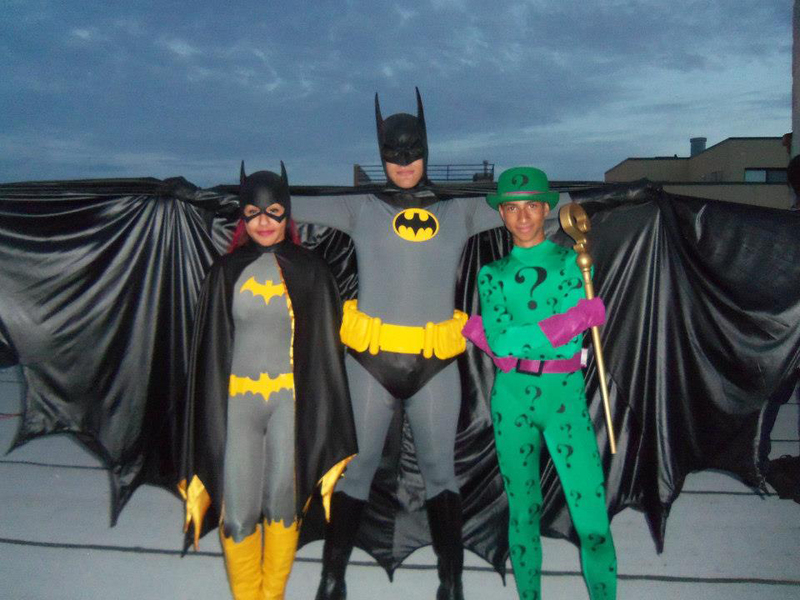 The Final Bat-Cape as fabricated by Brooklyn, NY seamstress Doreen Hunter. The cape is made from a matte black faux-leather stretch vinyl, and a low-sheen black heavy bridal satin for the interior lining. The cape features an open wing-span of 12 feet. Removable wooden rods are built into the leading edges of the cape's front panels to facilitate full wing extension. 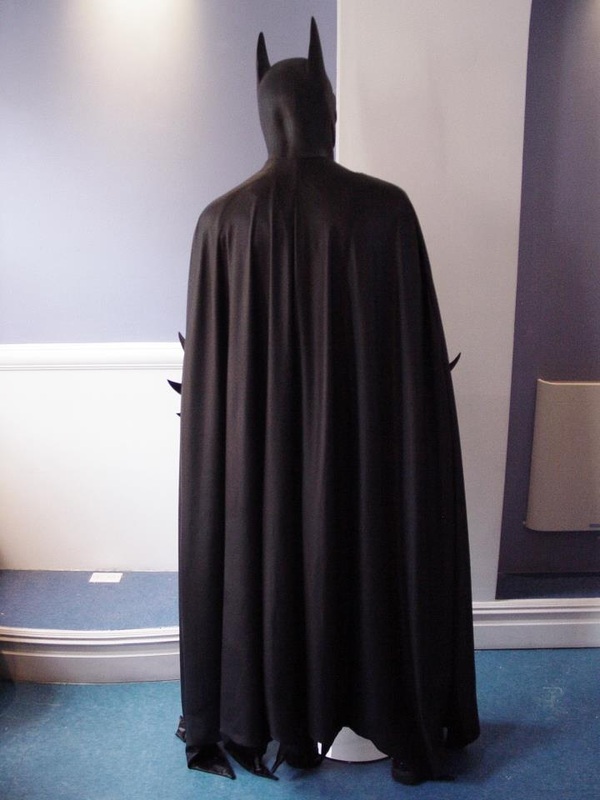 The matte black stretch vinyl fabric for this cape was selected by Mr. Williams among the many top-quality choice fabrics that are offered at Spandex World (located in New York City's midtown garment district). The close match in texture between this fabric and the black urethane cast Bat-Cowl gave the final costume a visual cohesiveness that satisfied Production Designer Williams very much.